Hoping to purchase a car through financing? It’s definitely a smart move. Allowing you to secure the car you need now and pay for its total value over a period of time, a car loan is the go-to car payment method for most Canadians. But keep in mind that not everyone is eligible for a car loan. Lenders want to make sure that you have the financial capacity to pay off your loans when they approve your application. And that means that you will have to supply them with requirements that strengthen your credibility and ability as a borrower. A lender will need to know that you’re capable of paying back the loan given the terms you’ve chosen. Of course, the best way for them to determine that would be to request your proof of income. A certificate of employment, payslips, and other employment evidence should be submitted when you send your application. Some lenders will require that you have been with your employer for at least 3 months before they can grant your request. Essentially, your proof of income shows that you have the financial capability to pay for your loan on top of any other expenses that you might have. In the ideal situation, a lender might even want to see money left over after all of the expenses you have. Other requirements you should have at the ready when you visit the dealership are supporting financial documents. These include paid bills and bank statements that demonstrate how you handle your money. After all, it’s possible to make enough to cover all of your expenses on top of car amortizations, but to be unable to pay because of your spending habits. Proving to your lender that you can meet the monthly payments by showing documents that evidence your responsible money management practices can boost your chances of getting approved. It’s one of Canada’s goals to make sure their roads are safe for all commuters and drivers. That’s why it’s mandatory for all car owners to have their vehicle insured. However, it’s important to keep in mind that drivers with a G1 license (or a novice license) are usually seen as high-risk clients by insurance agencies, which is why they’re unlikely to give you insurance for your car. Unfortunately, the only way you can get your license plates is if your car is duly insured. That said, you will have to have either a G or G2 license when purchasing a vehicle if you want the plates and the insurance that are required. If you have a novice license and you still want to purchase your car, there are no restrictions on the purchase process. To acquire the necessary coverage, you can have a family member with a G or G2 license put the coverage for your car under their name. In effect, the policy will be named under someone else. At least CA$1800 every month. Keep in mind that these values are stipulated for income before deductions. Falling within any of these brackets, depending on the nature of your job and your employer’s payment schedule can significantly improve your chances of getting approved for your loan. However, it’s important to keep in mind that some online lenders tend to be much more flexible with the minimum income requirements that they impose. To buy a car in Canada, you need to be a resident for at least a year however this can change depending on your lender. The purpose of being a resident in the country for a while is so that the lender can be certain that you’re not going to get up and leave once the car is released. This makes it easier for them to determine where to repossess the car should you reach that point in the contract’s term. To prove your address, you will need to supply valid government issued ID as well as other documents that can prove your residence. These include utility and phone bills, or even a deed of sale or property title for owned residences. It can be exciting to buy a car in Canada, but you need to know the ins and outs before you go through the process. 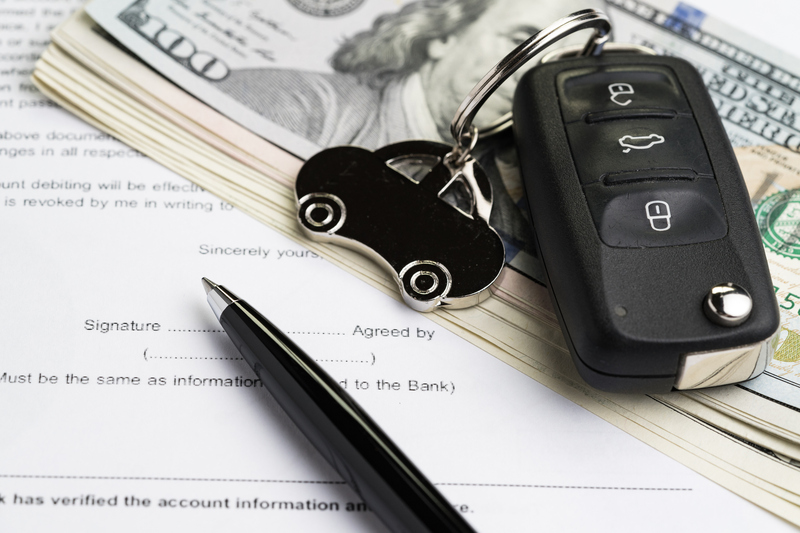 Make sure you have these basic documents at the ready when you visit your dealership, and don’t forget to shop around for lenders so you can get the most attractive rates. Browse through our extensive database of lenders to help you find your perfect match, and buy that brand new car with confidence and ease.